In Episode 48, I was pleased to share a knitting story contributed by Kirsten Kapur. I have long admired Kirsten's designs, and this Ida's Kitchen hat pattern is no exception. It looks like such a fun, exciting little knit. If only I had more knitting time available right now.. I would totally make this. Dancing Ewe Yarns has kindly contributed 3 skeins of Blue Sky Alpacas Melange in colors #802, #806, and #807 to get one fortunate knitter started on an Ida's Kitchen hat of their very own. Additionally, Kirsten Kapur has donated a copy of her hat pattern along with her new sweater pattern, the Washington Square cardigan to this drawing prize. To enter to win, please leave a comment (with contact information) under this post telling me what you thought of Episode 48. Remember, only one comment per person, please. A winner will be randomly chosen and announced on February 1, 2011. Please check back then to see if you have won! Kirsten's work is always so inspiring! I love the retro look of this hat pattern. Episode 48....another great listen! I loved the story, especially when she describes the security employee taking away her circular knitting needles and then doing a happy dance while draped around her neck! It was great to see Kristen Kapur featured! I always love your podcasts, and usually set it as the bar for other podcasts I listen to. This one was no exception. I loved Kirsten's story about the knitting needles being taken away AND THEN having to sit on a plane for 17 hours. Seriously, I think I would go nuts. Simply NUTS! Precious knitting time...WASTED! Thanks for the giveaway! I love Kirsten's work. The yarn looks yummy. I am so glad that you followed up at the end of Kirsten's story to report that the handknits had made it home. I was feel a bit sick to my stomach at the thought of her loss. Keep up the great work with the podcast. Loved the whole sad saga about traveling and having needles snatched. I was so glad for the happy ending! This is such a great hat, it would be great to win this giveaway. I love your podcasts, and Kirsten's designs. I often fly home to England and am always nervous that they will take my needles from me. Usually I take dpn's and so far I've been lucky! I was so glad Krsten got the hand-knits back - what a scarey thing to have happened! I always worry when I take my knitting on planes. One just never knows how the security will react. Beautiful hat! But I really love the sweater. I would wear both of them. I was glad to know that her luggage returned safely. I am IN LOVE with the Ida's Kitchen hat. I love the way Kirsten puts colors together. I will be making this hat for sure. I felt so sad for her loss of her beautiful shawl! I will certainly keep my handknits closer! Great episode! I love to listen to it when I'm doing chores I hate to do. It helps keep my mind off of what I hate doing! The story was great because we do a lot of traveling so I will keep this in mind! Love your podcast always very informative and fun. Kirsten's work is so nice and would love a chance to win one of her patterns and some yarn. Thanks for another great give away. I love Kirsten K! Great episode! I really enjoy listening to them! thank you! Loved the podcast and LOVE Dancing Ewe Yarns, I was fortunate enough to visit the Brick and Mortar store this past summer and I loved it. Ida's Kitchen is amazing and is on my to do list! Thanks for the chance to win! This story scared the hell out of me! I'm taking a bunch of knitted gifts to Los Angeles in a few weeks and they comprise my entire carry-on specifically for this reason. I'm also fairly certain airport employees are required to hand in confiscated material--I think she could report that lady if she'd thought to get her name! I was also very heartened to hear of the gifts you've received--knitters are special people. love the colors of the hat...very retro! thanks for the opportunity! I'm sorry you aren't feeling well again. I loved Kristen's story! Ida's kitchen hat is beautiful. The colors of the yarn are yummy. The time spend traveling without one's needles is always hard. I always have a bag with me but I travel by train. I enjoyed Episode 48. My heart was breaking after hearing Kristen's story. I kept thinking of those irreplaceable Christmas stockings knit by Kristen's Mom and MIL. I was so relieved when you mentioned that her luggage had been found. The knitting gods were smiling on her that day. I tought your comment about Debbie Bliss being like a normal person was real funny! But I can totaly understand the excitement! Kristen's story in the restaurant was great food for thought! I would be devasted to loose a knit. And, like I commented on the podcast post, it made my I-cord BO a lot more interesting!!! Another great podcast! Thanks for the giveaway! So sad to have needles snatched! It is the first one I have listened to and I like it! I love this hat, it is so gorgeous and the colors are perfect, I am definitely making this for myself! What a cool pattern and terrifying story. It reminded me of a very precious knitted item I lost...but that's a story for another time. Thanks for the inspiring podcast. I'm so glad Kirsten got her luggage back! What lovely work! You do a great job, as always! I love Kirsten Kapur's designs. Thanks for sharing her interview with us! Great podcast as always. I really appreciate how well organized your pod casts are. Kirsten's patterns are great. I knit her Mystery Sock this year and thoroughly enjoyed it. the episode was fantastic, I listened to it while I cooked, so my husband was around for a part of it and my favorite part was that when Kirsten told how she lost her shawl, he reacted as a knitter! loved that! Kirsten's story was so great. Thank you for encouraging her to share with us and, of course, for procuring such a wonderful giveaway. I just found your podcast and am getting back into knitting after a bit of a break. Thanks for the inspiration!!! I really liked your last podcast. 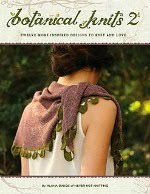 I was indeed clutching my knitting to my chest in horror while listening to Kristen Kapur's story! And as always, I love your links. I always find something new. Thank you for such a wonderful podcast. Thanks for continuing to inspire me! I love those yarn colors and the hat pattern! Kirsten's hat and stories are very colorful! Love the pattern and the yarn. I was just admiring that hat on Kirsten's blog the other day! Would love to make one! I absolutely love Kirsten's designs - so fresh and beautiful. Always a great podcast. You are always expanding my knitting world. Poor Kristen. I absolutely loved the last line of her story! My heart wrenched for her the whole time, but that last line put a smile on my face. I love EVERYTHING that Kirsten does! Loved the podcast - your voice is so soothing to listen to. Kirsten's story was great. I enjoyed hearing about TNNA. Also, the story was entertaining. I will definitely put my hand knits in a carry-on the next time I fly! I love Kristen's work! Her new hat is great. I've been thinking about casting on for her new hat and the color, wonderful yarn is beautiful. Oh wow, what a complete nightmare for a knitter! My hand-knits will go in the carry on forever now! I am a total fan of Kirsten's patterns. Would love to have both patterns and yarn. I have been drooling over this pattern since I first saw it on Ravelry! Just have trouble deciding on yarn. What a great (and scary ) story Kristen told. I would have been sick! Nice to hear her hand knits were safely returned, though. I love Kirsten Kapur's designs and it was great that she featured in the last episode. So generous of her to giveaway a pattern here! I loved this episode...the pain of losing addi's.. I haven't listened yet, but hope that doesn't mean that I can't win. Thanks for the giveaway! This is my first time listening to the podcast. Thank you! Great podcast, I love both patterns! I love the hat and the wool. I love that hat! Thanks for the giveaway! Hello there, I loved that episode just as all the others. I only just came across your podcast and am frantically listening to all your episodes and knitting along whilst my little toddler has her naps! Keep up the good work - it is so fascinating to follow your story in a time warp bubble. Such pretty yarns! And I'd love to try one of her designs! I loved the story about the needle confiscation ! Obviously that employee has no concept of knitting !! I love your podcast and it was nice to hear about Kristen. Ugh...the security guard got me too. A dance? Really? Either she's enough of a knitter to recognize addis or has a truly sadistic sense of humor. What an amazing giveaway (as always) The yarn and pattern are fabulous as well ! Your podcasts are always fabulous and definitely my favorite. However, this episode was when she talked about the woman taking her needles and placing them around her neck dancing with them and plotting her next knitting adventure with her new addi's :) Haha, loved it ! Much as I'd love to comment on the podcast it's summer holidays over here so my podcast listening is on hold. My boys don't cope well with the removal of parental attention and tend to start fighting, love the pattern though! wonderful yarn......i love the colours! What great colours! Perfect to brighten up this dreary january day. I love this pattern! Podcast great as always! I was allowed to bring my knitting on board in Dec 2010 on a trip to Mexico and I don't know what I would have done if they hadn't let me!! I enjoyed, just like I enjoy your blog! That yarn just looks crazy soft. I love that hat and Kristen Kapur's designs. I have made a few of her designs. I am basketballknit on ravelry. I loved hearing that Kirsten got her hand knit back! Blue Sky Alpaca has the lovliest colours! I too lean toward the Autumn hues. I love Kirsten's work and have knit all her mystery socks. I love Kirsten's work! Fun to hear more from her on your podcast! A treat for sure! Thanks for the giveaway! I loved episode 48! Your podcast is always so inspiring. Since I only recently discovered your blog, I am having so much fun catching up on all the episodes! Great podcast - just one of the reasons I hate the thought of flying! Thanks for the great giveaway! Great episode! I really enjoyed the knitting story, but it sure made me cringe! After listening to the podcast, I know the next time I travel with my handknits I will be keeping my eyes on them! I love Kirsten's work,and the yarn colors are absolutely gorgeous!! I love Kristen Kapur. Thanks for hosting the giveaway! Another awesome giveaway...sweet! That yarn looks yummy. I love the colors of the yarn! It looks so soft. I loved the last episode. I don't do a lot of traveling and I don't have a whole lot of hand knits, but I would be devasted to loose what I do have! I tensed up just hearing her experience! YIKES! I loved the narrated story. Very good reader. I also loved your thoughts on TNNA. Lucky girl! Get better soon. I love this hat pattern and colors! The podcast was great too, she has great work! I always wondered if I could travel with knitting needles. i love all of your episodes! I love the hat pattern, it's so funky! I could see myself making it over and over. I adore TTL patterns! I've done both her mystery socks and her patterns are so well written. I have nothing but praise for her work. This looks like such a hip hat that the Boy would love. 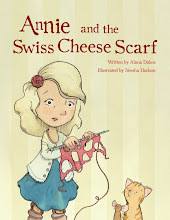 Loved Kristen's story, as well as the yarn and pattern! Great podcast and giveaway. Beautiful pattern! This is my New Year's resolution, to knit some things in Fair Isle and this kit would get me started! Hearing about the yarns and the hat in the podcast makes me want to win so I can make my own! Thanks for the giveaway! I thought the podcast was great! And I loved (and was terrified by) Kirsten's story! My grandma has some great horror stories about getting her crochet needles taken away on planes. 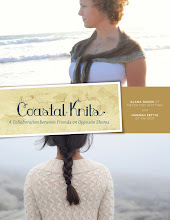 Kirsten's designs are so amazing, and I love how she makes knitting personal. Ida's Kitchen has been in my favorites since it came out - what an awesome giveaway! Thank you for your podcasts and giveaways! I always enjoy your podcasts. 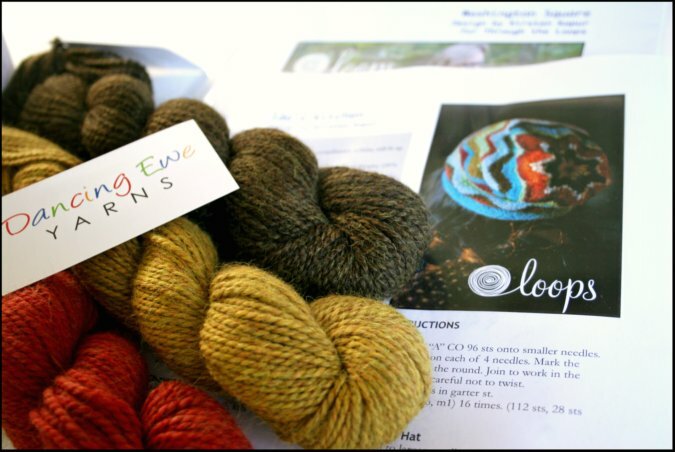 It's nice to hear about events like TNNA, which I am unable to attend, and also hear your opinions on yarns and patterns. I'm looking forward to seeing your new patterns as well. Thanks much for another great show. love Kirsten's story,i had needles taken from me as well and it;s traumatizing,there i was in foren place crying about mt harmony #6 needles. and I love your podcast. I love your podcasts. I like to listen to them, ironically, when I weave. :D I really enjoy listening to knitting stories, but it is nice to hear the information you put into each podcast. Thank you so much for taking the time. Enjoyed the episode as always and the story by Kirsten. Love the colors for the kit; would love to win! Another great episode...loved hearing of the gifts you had received. What a great contest yet again. I just love this hat. More fun to wear than to knit though, don't you think? Love the episode and the hat! Love the knitting needles story...busy planning my next flight...hopefully with knitting on board! I really like the sweater. I would definitely make that for myself. Love the podcast, and love Kirsten's patterns! I'm a regular listener, and when I found out you were doing a drawing for this, I just DIED. I love Kirsten's designs, and this hat is already in my Rave queue! gorgeous! Kirsten is my favorite designer (along with Hannah Fettig, so the last two episodes/giveaways have been heaven for me!) and i am about to start her Que Sera after next weekend. I think i might die if i ever lost a handknit! people ask to borrow mine all the time and i just can't let go! I've had my eye on Ida's Kitchen and Washington Square since they both came out! great giveaway. I loved episode 48 because I'm a new listener and Dancing Ewe was my LYS until just recently PLUS I'm a BSA fan big time. So thanks for brightening my day on all sorts of levels! I've knit a heap of hats with BSA for family with it to share the colours and lovely softness. Haven't talked myself into Melange yet because I haven't narrowed down my favourite shades. Can't believe some meanie took away a traveller's needles! And what a relief that the handknits got home safely! As always, great episode. I've admired Kirsten's work a long time. And my mom's name is Ida! Have to knit the hat. Great episode, and I love this pattern! It was a lot of fun to hear about TNNA and you always make me laugh - like when you talked about what to call Blue Sky Alpaca's alpaca yarn. Kirsten's story was fun to listen to too. This story was like my nightmares!! I have used alpaca (first time I did bobbles too) and loved it. Thanks!! I love the song too. LOVE LOVE LOVE that hat! Love the podcast! Great episode, but that story about losing those knitted items just broke my heart. And when her knitting needles were taken...I'm just glad I use interchangable needles. Yes, I would've had to go the whole flight without knitting, but at least I wouldn't have to add insult to injury by dropping a stitch. Loved episode 48! The confiscation of the knitting needles was a great story and the hat is gorgeous! I'm always afraid my needles will be taken. I get sweaty just thinking about it. Thank goodness her luggage was found! I'm a big fan of Kirsten's designs! I love your podcast always. I subscribe to several, but yours is the one I can listen to over and over. Loved the story of her travels and her circ getting confiscated at the airport (what the heck??) and taking her knitting off the needle, slowly, stitch by stitch. How awful! I really enjoyed the podcast and I am relieved to know that the precious hand-knit items are reunited with their rightful owners. In 2008 I went onto a commercial airline with bamboo circular knitting needles without any problems, I hope I could still do that in 2011. 17 hours is too long without the opportunity to knit! Speaking of lost time and knitting needles...I had them confiscated (not for a plane ride) but entering the Emergency room in my local hospital. Confiscated in a hospital!!! So silly. I hope I win this hat pattern and yarn...I'm positively drooling. I like all your podcasts, and I admire your calming relaxing voice! Kirsten is one of my favorite designers and I loved listening to her story! Kirsten story about her hand knit items and all that gorgeous yarn going back to Rome had my heart in my throat! And having her needles taken away? That's the sort of thing we knitters have nightmares about! I'm so glad it turned out in the end. I always love the stories you share! Very nice stories to listen to. I can't believe they would make someone fly 17 hours without being able to knit. I am very glad, that Kirsten got her knits back eventually and I know I will remember about keeping those things in a carry on bag if I fly. Note to self...always put all my handknit gifts in my carryon... Thanks so much for the podcast (and the giveaway). love the patterns and the yarn! This was my first podcast! I loved it. I was enjoying episode 48 yesterday afternoon while blocking a sweater and partway through the sound quit on me. I'll try again because I didn't get to Kirsten's story! I'm starting to think the solution to confiscated needles is to teach the TSA agents to knit! Great podcast. I love Kirsten's work and really want to try colorwork. Thanks for the drawing. It is so nice to hear the voice of a designer that I have followed. Always a relief when lost luggage is returned. I hope that the man in the restaurant is enjoying Kirsten's shawl or that he at least gifted it to someone to love. I always enjoy your episodes because I learn something new and the stories are very touching. Thank you, Alana. Yikes, hope they don't ever confiscate my needles! Not the needles! One of my biggest fears while traveling. Great pod-cast and a wonderful giveaway. Ooooh I love Kirsten's designs, thank you for the opportunity to win a couple. As for the podcast, yes, I too loved hearing Kirsten's stories of loss and near loss of precious handknits. So sad about the needls being taken away! I've heard people say they bring a self addressed and stamped padded envelope in case that happens. Doesn't solve the wasted knitting time but at least you get your needles back. Another awesome giveaway. I would love to make the hat. That hat looks so much fun - Thanks for introducing me to her work. Great giveaway! I liked the story about the knitting needles/plane - I'd be upset! Thanks for sharing Kirsten with us! Great podcast with a happy ending to what could have been a tragic tale! Thanks for sharing. I liked the story "keep your knits close..." So glad she got them back! I'm going to be doing a lot of flying soon, will have to be careful with my knits. I think someone should teach Alec Baldwin to knit, if he doesn't know already. It might help him manage stress. I loved Kristen Kapur. I've knit a couple of her designs - TTL Mystery Sock 09 and I'm almost finished the 2010 version :) Looks like a great prize! That yarn is super yummy! Great story! So sad about her shawl! :( It takes me so long to knit anything I'd just cry if that happened to me! Wonderful pattern! Great yarn! Thanks! Kristen's story was great! I felt so mad when the TSA confiscated her needles and then when her luggage got lost I felt so distraught for her. Thank goodness her luggage was found! I love TTL's Kirsten Kapur and her designs. A week ago I discovered TTL and NNK and here in little Denmark I enjoyed my first NNK podcast with my ears almost inside my PC. Great idea :-) and Ida's Kitchen...just the colors of my childhood too.. I thoroughly enjoyed listening to Kirsten Kapur's story on episode 48 today. I felt a twinge in my gut at the thought of her losing her Christmas stockings. I'll certainly be sure to pack all my handknits in my carry-on in the future! I just started listening to podcasts and yours is by far my favorite! Thank you for the wonderful giveaway! Thanks for another great podcast and sharing Kristen's designs with us! Another wonderful giveaway, thank you! I enjoyed the podcast and especially hearing the story from Kristen Kapur. So glad to hear that her handknits made it home. Ep. 48 helped me prepare a bit for the inevitable loss of a hand-knit. Her story also inspired me to use a situation like that for creating something new and beautiful. I love Kristen's work too. THis hat though is my favorite. I love the colors and the cheveron sooo much! Perfect. I am looking for a new hat! Love love love it!!!! And I love Dancing Ewe Yarns- love ordering from them, they are always fast, courteous and helpful! I already bought some of Kirsten's patterns. And her new hat looks great - wonderful colours. It was nice to listen to the podcast. I would love to win this GREAT givaway as usual all your givaways are Great. I loved this weeks podcast. TTL is one of the blogs I keep up on bookmark bar. Love the Ida's kitchen hat! As always I loved your latest episode! 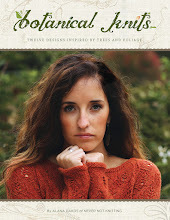 Love the knitting stories and can't wait to see your new designs! I spent most of my weekend stripping wallpaper and listening to Never Not Knitting made it go a lot easier. Thank you! I learned an important lesson from the podcast - never let your handknits out of your sight! If I ever have to travel with precious knits I will certainly put them in my carry on. I am glad that Kirsten got her knits back. I also liked the part about Alec Baldwin! What a beautiful hat and I loved her story. Another great episode! Loved the story and certainly had a moment of panic when Kirsten said she put all those precious handknits in her suitcase. So glad they were all recovered!